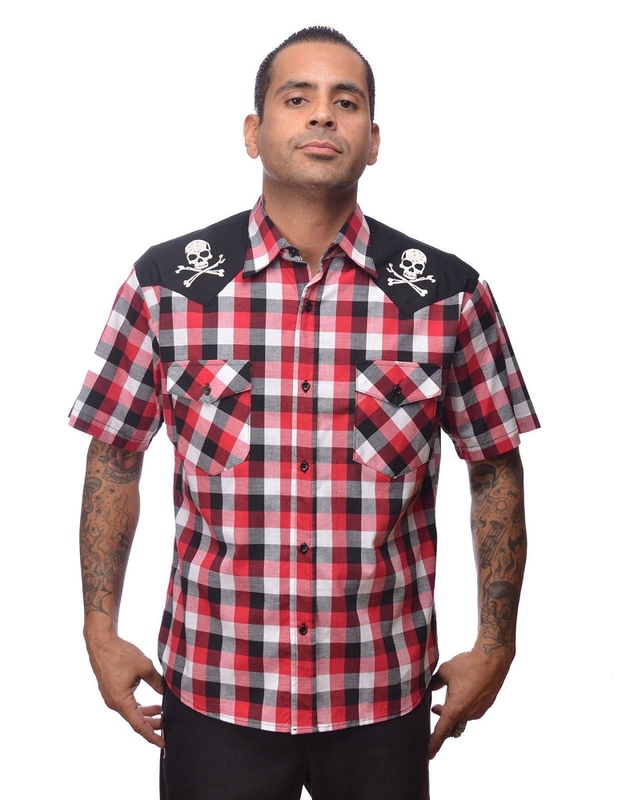 Steady Chaos Western Shirt This is a fitted western styled shirt that features a black, red and white plaid body with black front and back yokes. 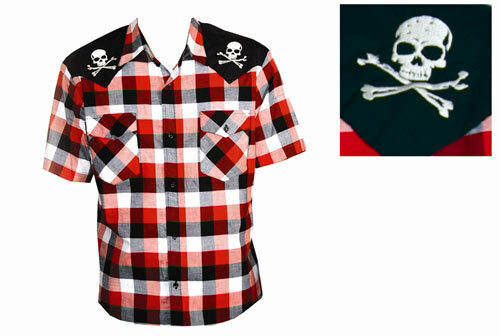 The front yoke features embroidered skull and crossbones on each side. 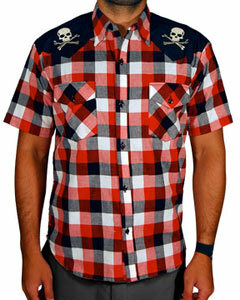 Also features two front pockets and snap button up.